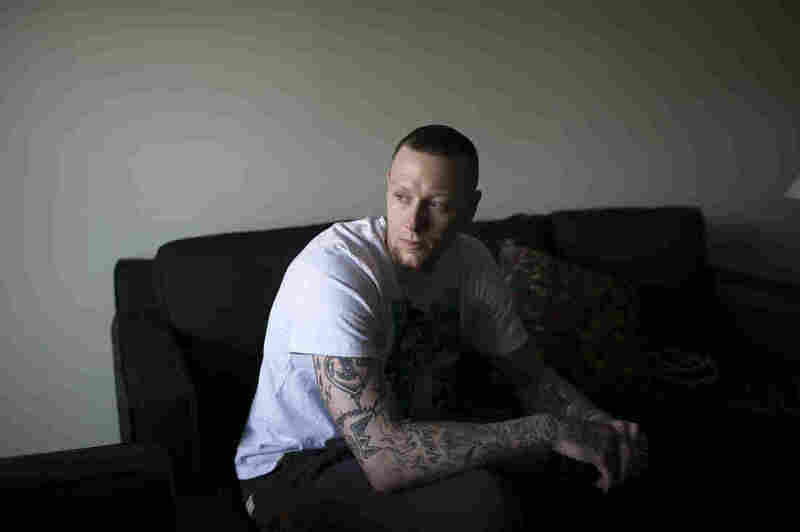 From Drug-Filled Days On The Cape To The Verge Of The NBA Nick Minnerath was an unlikely NBA hopeful. He failed off his high school team twice and lost two years to drugs. But a family friend and a coach who gave him a shot renewed his basketball ambitions. Bad grades, injuries and drugs nearly ended Nick Minnerath's basketball career before it even began. Here, he sits in his apartment in Canton, Ohio, where last season he played forward for the Canton Charge, a team in the NBA's minor league, or D-League. In many ways, the basketball world is a small place. If you're a promising high school player, somebody knows who you are. There's a mixtape of your highlights; box scores tell your story in numbers. Coaches talk you up to other coaches. It's almost impossible to hide talent. Unless you're a basketball ghost. And for a long time, Nick Minnerath was a basketball ghost. He just wrapped up a season as one of the top players for the Canton Charge in the Development League — the minor league that acts as a farm team system for the NBA. Minnerath averaged more than 18 points a game and made scouting lists of top NBA prospects in the D-League. But he's one of the most unlikely prospects you could possibly imagine, his youthful talent overwhelmed by misfortune and his own considerable mistakes. Forget basketball glory. Minnerath barely made it through high school. He failed off his high school team as a freshman and junior because his grades were a disaster. He broke his ankle his senior year. He played just one full year — as a sophomore. And after high school, on Cape Cod where he was raised, when the wealthy summer people leave and the days get shorter, what were his prospects? Not just for basketball, but for life? "There's nobody there," Minnerath, now 27, says. "It's cold. There's literally nothing to do — except the wrong thing ... and I was doing the wrong thing." That would be drugs — and lots of them. Cocaine, especially. For two years after high school, Minnerath says, he did coke and bounced around low-wage jobs — construction, driving a cab, ringing up customers at the Cumberland Farms. Those are two crucial years when elite players star in college or head to the NBA. Minnerath lost them. He didn't think of himself as a basketball player during those two years. It was much too early for that. But he did know this: He couldn't stand himself. "You get to a point where you get strung out enough, when you wake up every day and don't like what you're doing," Minnerath says. "You don't like who you are. You look in the mirror and you're disgusted with yourself, really." 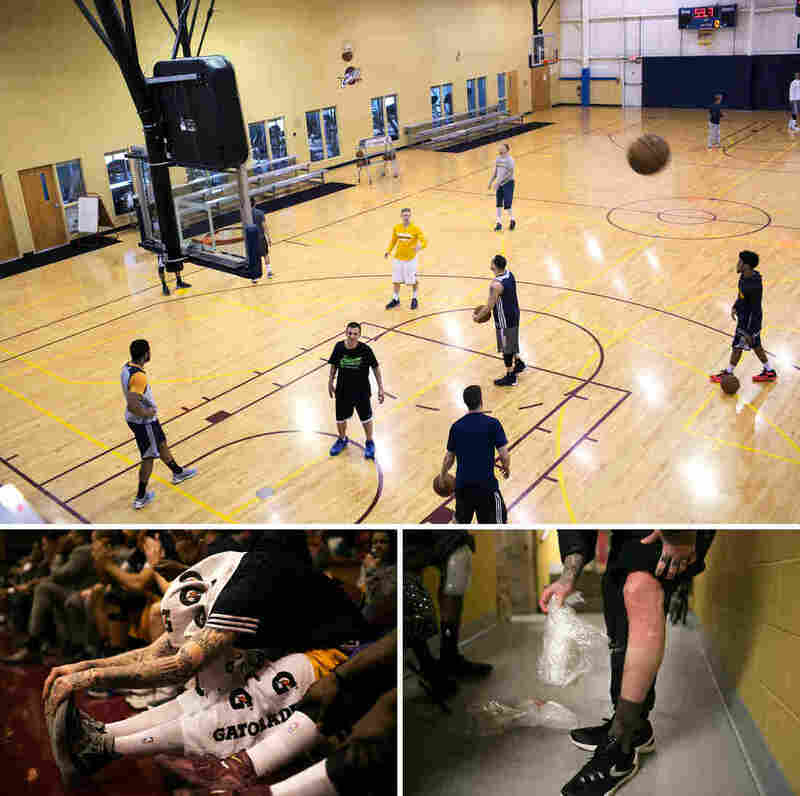 Hardly anyone becomes an elite basketball player by taking up the game seriously at age 20. It happens from time to time in countries where organized basketball programs aren't widespread. Not in the U.S. But Minnerath was a gifted athlete, 6-foot-9, with quickness, leaping ability and a smooth outside shot. The unleashing of that talent came from an unexpected source. It wasn't a coach or a scout. Rather, it was a family friend — Janet Barricman. Barricman worked with Minnerath's dad, Michael, on Cape Cod for the National Park Service. And she knew Nick was in trouble. "He needed to do something," Barricman says. "And I remember driving to his house one afternoon ... and made him sit at the table. I asked him, 'What do you want to do?' He said, 'I want to play ball.' "
He had no idea how to make his way in basketball. Luckily, Barricman did: She sent out a bunch of letters to junior colleges. One coach responded — Steve Finamore, who at the time was the head coach at Jackson College, a community college in Michigan. He wasn't completely sold on the pitch. He'd never heard of Nick Minnerath. "I said, 'Well, I can't come out to Massachusetts to watch you play. So you're going to come out here,' " Finamore says. Minnerath drove nearly 900 miles for an informal tryout — basically a pickup game with coaches watching. It didn't take long to convince Finamore that Minnerath was a gifted player. "After about two or three minutes watching him running up the floor, I looked at my assistant coach and said, 'We have to offer him a scholarship right now,' " Finamore says. Looking back, Minnerath says the prospect of that scholarship turned out to be the trigger he needed to clean up his act. "School and basketball went hand in hand," he says. "I was dedicated to going to school every day. I didn't care about parties. No way was I going to do the same things again." Finamore says he was impressed by Minnerath's determination as much as his basketball skills. 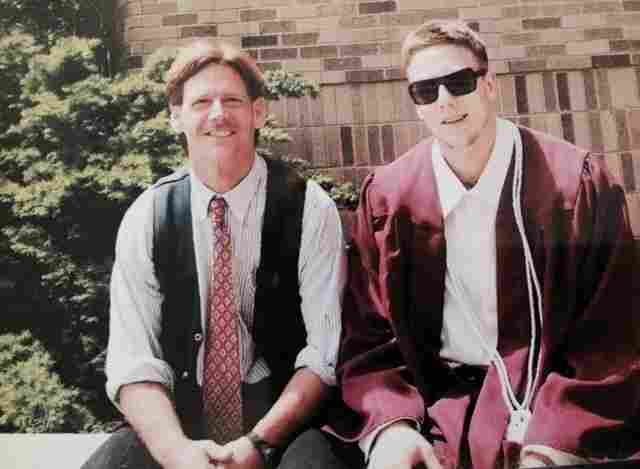 "The most important thing about first meeting Nick was his willingness to get in the car to drive from Massachusetts to Michigan for one ... chance of a lifetime almost," Finamore says. "All we did was give him a chance." Minnerath starred for two years at Jackson College before transferring to the University of Detroit Mercy. He earned his four-year degree in communications with a B average and then played professionally for two years in France and Spain before getting invited to training camp last fall with the Cleveland Cavaliers. There, he got to play with LeBron James. Now, in case this is starting to sound like a fairy tale, the Cavaliers were just too stacked with veteran talent. Minnerath didn't make the team. So he signed on with the Cavaliers' minor league affiliate, the Canton Charge. In Canton, he immediately made an impact with the team as a scorer. He's got size and a deadly 3-point shot, a combination that NBA teams covet. He came off the bench to score points in bunches, another ability valued in the NBA. But since he came to the game late, other parts of his game were unpolished — like defense. So working on his defense and rebounding became his top objective in the D-League. And by the end of the season, he'd made strides in both areas. For players like Minnerath, the D-League is a place to improve under intensive coaching (the D stands for development, after all) and catch the attention of NBA teams. But it's also a financial sacrifice. With Canton, he earned $19,000 for the season. Compare that to what he made in Spain and France — about $100,000 a season. And early in the D-League season, another offer came in from France. "It was probably the best French team," Minnerath says. "Obviously it was a lot more money. But the D-League isn't about the money. 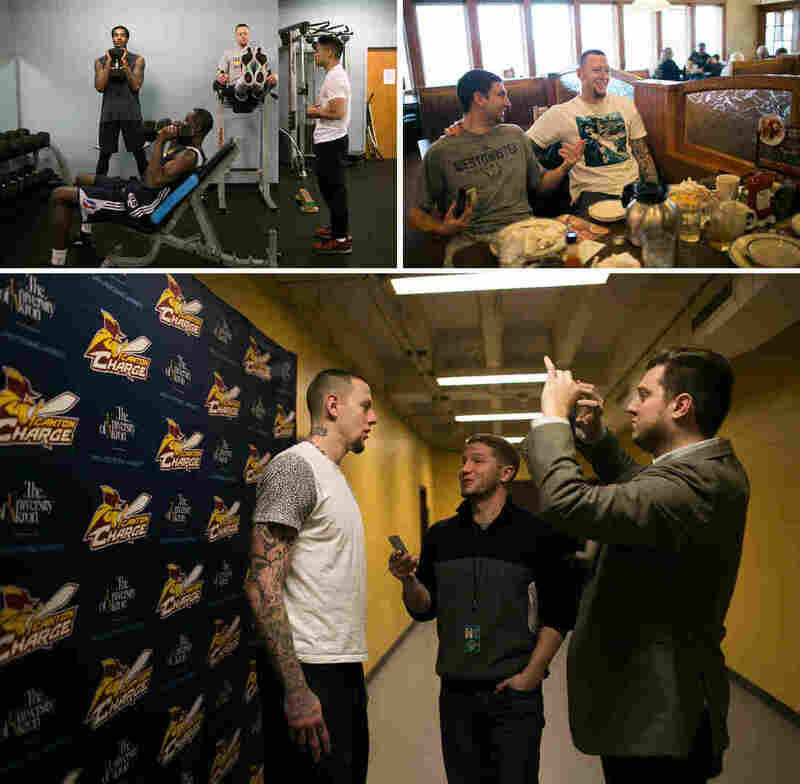 It's about the big picture and the fact you're so close [to the NBA]." At 27, he's come as far in the sport as you can possibly go without breaking into the NBA. And this in itself is remarkable given his lost years after high school and unusually late start in the game. 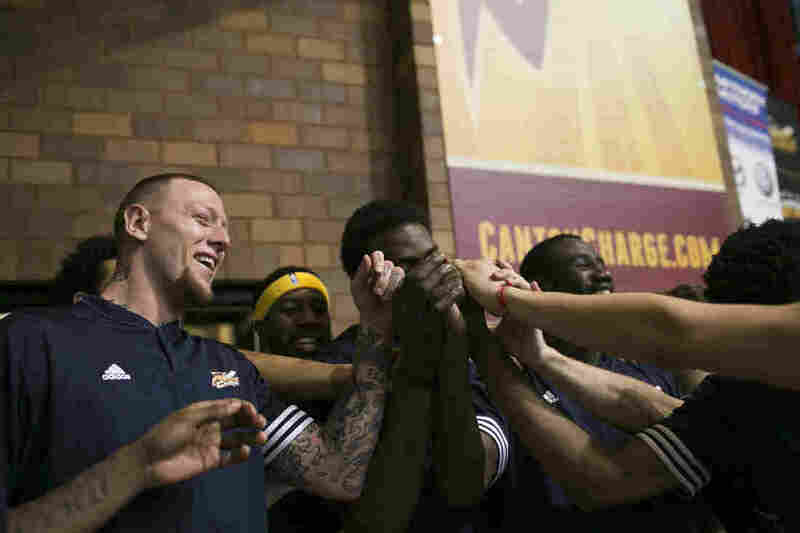 He helped lead the Canton Charge to the Eastern Conference finals of the D-League playoffs. He was named to the D-League's all-league second team. Joel Abelson, who scouts for the New York Knicks, called him a "really interesting player" who's turned a lot of heads. But those turned heads didn't get Minnerath to the NBA this season. "It's definitely frustrating," he says, to be so close and not get called up. He says he won't return to the D-League to play for $19,000 again. But his season there raised his profile. If he doesn't get a guaranteed NBA deal next season, he says he'll have options overseas — options that pay well into the six figures. Minnerath is facing another crossroads. But this one's different from his do-or-die junior college tryout. 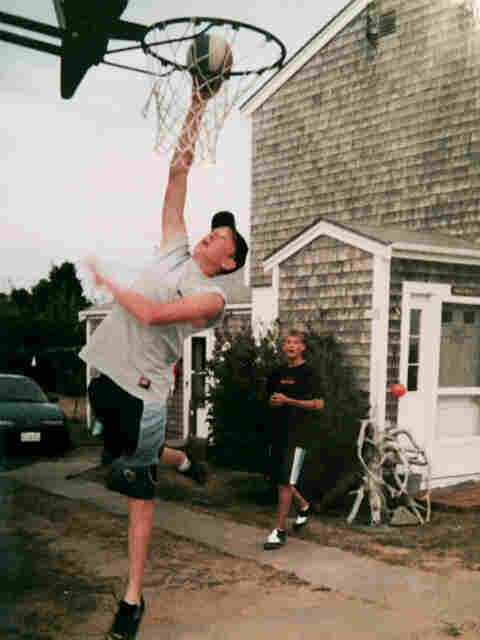 That was the start of his basketball journey, a desperate chance to grab a lifeline. This time, he's building on achievement and his unlikely success story. Wherever Nick Minnerath winds up, it will be a long way from his aimless years on Cape Cod. Minnerath (left) and teammates prepare for their game against the Iowa Energy.